Do you work at Ba Shan? What did you think of Ba Shan? Ba Shan has a really good choice of chinese dishes, i loved the prawn & water chestnut dumplings, yum! 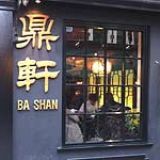 It has to be good Chinese food to get me from my sofa with a take away but Ba Shan is worth the visit, the food is extremly good and the service is first class! Ba Shan offered more than your average Chinese. The restaurant not only served the typical chinese meals but they also had an array of more traditional chinese meals. The authenticity was on top. I have been to this restaurant a few times and I really enjoy going. Ba Shan is great for light snacks or full meals, I have something different every time I go and each time the food has been great. This is an awesome restaurant. We went to Ba Shan for lunch when we were shopping and we were really happy with the food that was ordered and the chefs are grand. We loved the service and the waiter was really kind and helpful. We will certainly be going again. I was out one day and I found Ba Shan and went in to have a lunch. The staff were very kind and the service was excellent. The food was brought to me very quickly it was really good, perfect temperature. They did not rush us either and waited until everyone had finished their meal before they cleared the table. They asked if we wanted more drinks every so often and were very good. I always go to Ba Shan with my family and we all love the choice and price of the food. The portions are generous and we love the service they offer. The food is good and we enjoy going as there is so much to choose from. This is a great little Chinese restaurant. The food is great and is full of flavour. I would definitely visit Ba Shan again. The service was good and helped us out a lot with our children who were welcomed all evening. Good food, great atmosphere and reasonable cost makes this a sure fire hit. We will surely go back to Ba Shan again. 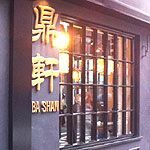 The younger brother of Bar Shu across the road from it, Ba Shan focuses on less formal dining, and in particular the street food of the Sichuan province of China. It is clear that a lot of effort has been put into creating a truly Chinese atmosphere – and its effect is incredible. The ample sized restaurant is split into four or five distinct sections set on different levels and separated by stone walls and Chinese-style screens. There are bamboo plants, bonsai and water features to complete the look, which is fair to say is probably more essence of China than authentic China. The sheer number of staff (complete with headsets) works both with the atmosphere and against it. 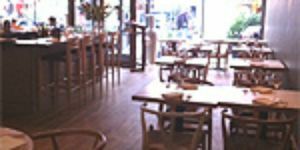 The efficiency is astonishing but no matter how friendly the staff, they do impart a corporate air which jars slightly with the restaurant’s otherwise tranquil atmosphere. Ba Shan has two menus. The first consists of Sichuanese homestyle dishes whilst the second offers Chinese regional snacks. It’s interesting to note the distinction but as all dishes are served in small, sharable portions and brought to the table at varying stages, it makes little practical difference and so is fine to mix and match from across the two menus. Steamed lotus leaf buns with tender stewed pork (£3.20 for two, from the snack menu) are pale green in colour and consist of a folded round of light, soft steamed dough filled with slow cooked shredded pork. Prawn and water chestnut dumplings (£5.20 for six small pieces, from the snack menu) are similarly tender but it’s hard to pick out any specific prawn or water chestnut flavours. The spicy, garlicky sauce they come with is in fact the star of show. Dan Dan noodles (£6.80, from the snack menu) come in a bowl with a slurry of chilli oil at the bottom and crushed peanuts on top – the staff will show you how to mix all the flavours together when eating it, blending the nuts, chilli and sesame paste which coat the noodles to create a powerful and well balanced dish. The interestingly-named Pock-marked Old Woman’s Beancurd (£7.50, from the homestyle menu) comes in a similar sauce to the dumplings, which is no bad thing. The beancurd itself is of the silken variety and meltingly soft – a perfect foil for the punchy sauce. Fish Fragrant Aubergines (£7.50, from the homestyle menu) contain no fish but are named instead after the spices used in the sauce – the same which are often used with fish in Sichuan. They come in soft, melting slivers in a sweetly sour sauce which is as good on its own as with the aubergines. The menu also offers Fish Fragrant Pork (£7.50, from the homestyle menu) made in the same way. With the sauces being the key to many of these dishes, a side order of rice (plain steamed is £1.80, special fried rice is £6) is an essential to mop up all the juices. A wide selection of wines, spirits and beers are available to complement the meal, but much more interesting are the selection of non-alcoholic Chinese drinks, which would typically be drunk with the style of street food Ba Shan offers. Plum Delight (about £3.80) is dark purple, sweet and very plummy in taste. Mango and lychee versions are also available. More intriguing, though, are the red and green bean drinks (about £3.80) made with aduki and mung beans respectively. Certainly an acquired taste, they are intensely sweet with a thick bean-y bottom and a sugary soya-milk froth which is reminiscent of condensed milk. Slurped with a wide straw, they are an acquired taste, but a must-try all the same. A wide selection of Chinese teas are also available and come served by the pot. Ba Shan offers fast Sichuan street food with an atmosphere to match. Informal dining is combined with military precision to ensure speed and quality – but it’s not just the food that has to be quick, as they’re also very keen on table turning.